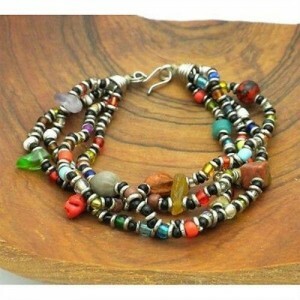 Handmade in Kenya, this bracelet features woven silverplated wire accented with colorful glass seed beads. It secures with a hook clasp and measures approximately 7.5 inches in diameter. 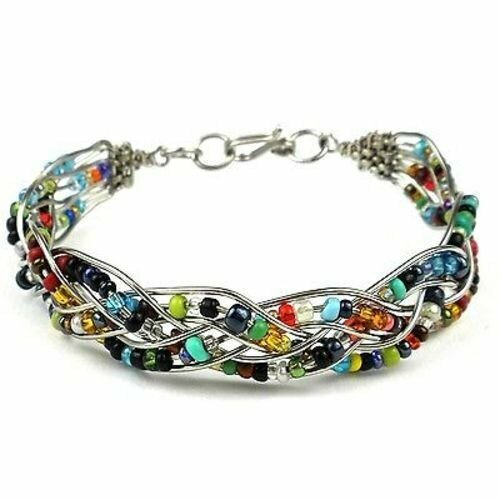 Tags: seed bead bracelet, wire bracelet. 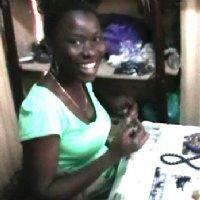 All of our items are hand made in Kenya, Africa. We offer Fair Trade, Green Eco gifts. Our sales provide income for families in Kenya. Thank you for shopping at Aina Moja. 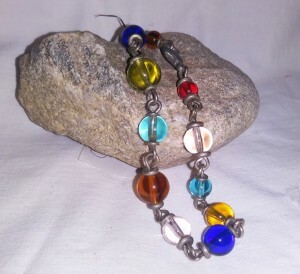 Working with Jedando Modern Handicrafts, the young men and women of Zakali Jewelry produce handmade fair trade fashion jewelry using the skills of wire work and electroplating. The project first started as a garbage collection project in the slums of Nairobi. 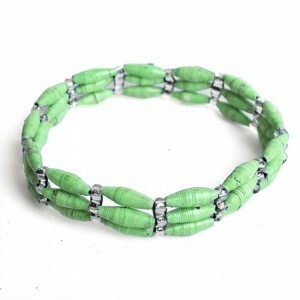 Recycling remains very close to the heart of the project and much of the material used is reclaimed or recycled, including the cord found inside of tires, which is used to string beads. Aina Moja is Kiswahili for "one of a kind". 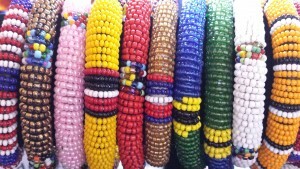 Each item is uniquely hand-made by African artists and therefore, one of a kind. 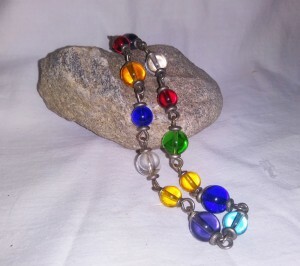 Due to the fact that each item is handmade, actual item may vary slightly from product image. Aina Moja products are sold at art and craft fairs throughout the summer and fall as well as in the Aina Moja shop in Belfast, Maine. Aina Moja is a member of Fair Trade Gifts and is part of the Artisan Support project of Expanding Opportunities, a 501(3)c organization. Our items are purchased directly from artisans in Kenya, Africa and not at tourist stations. The purchase of the items supports individuals and families in Kenya. Proceeds from sales of the items at Aina Moja help support the projects of Expanding Opportunities, including the Street Children Fund, STEMS, Camp Forest, Friends Across the Ocean, Books for Kenya, and Distance Learning Centers. Expanding Opportunities has the greater mission of increasing self-sufficiency through educational and charitable projects for people nationally and internationally. Aina Moja offers you an opportunity to donate for a child or give to Expanding Opportunities. Add a donation to your order for yourself or give a donation as a gift. Copyright Aina Moja 2016 - All Rights Reserved.